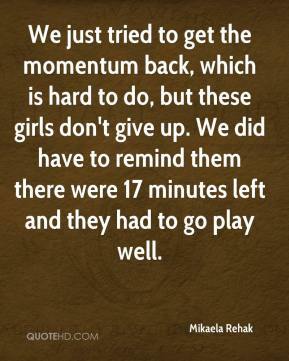 We just tried to get the momentum back, which is hard to do, but these girls don't give up. We did have to remind them there were 17 minutes left and they had to go play well. 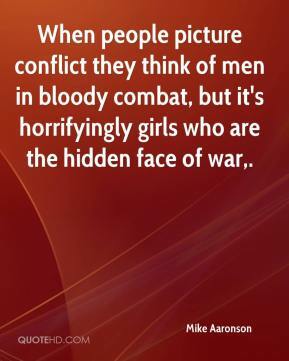 When people picture conflict they think of men in bloody combat, but it's horrifyingly girls who are the hidden face of war. That far exceeded my expectations. We had two one-goal games previously. 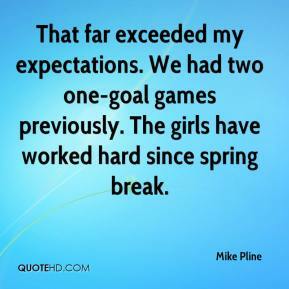 The girls have worked hard since spring break. 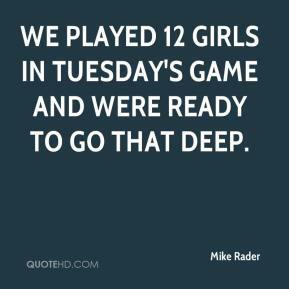 We played 12 girls in Tuesday's game and were ready to go that deep. I think you can see by the reaction of my girls. They know we're going to have to play them again. It's just another region game, just like the last one was. Just another region game. 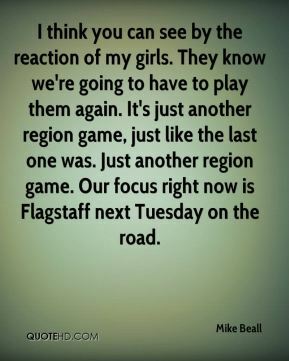 Our focus right now is Flagstaff next Tuesday on the road. 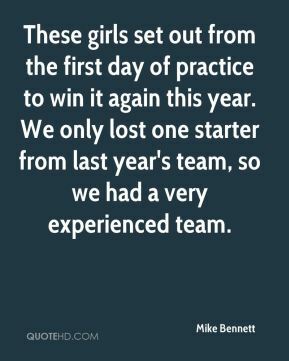 These girls set out from the first day of practice to win it again this year. We only lost one starter from last year's team, so we had a very experienced team. These girls have come a long way in the last three years. Overall, it was a very good day. It was a good win for the girls. I'm very proud of them. Our mind set today was that we had nothing to lose today and everything to gain. 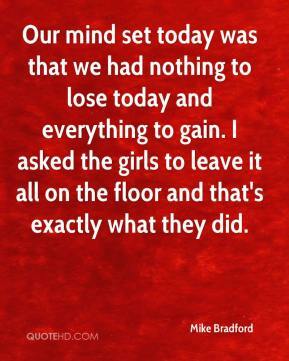 I asked the girls to leave it all on the floor and that's exactly what they did. I'm real proud of the girls. They never gave up. 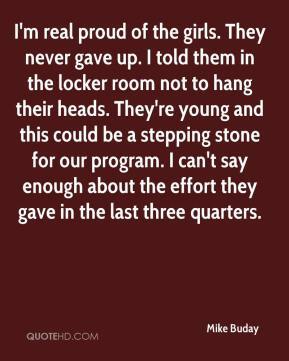 I told them in the locker room not to hang their heads. They're young and this could be a stepping stone for our program. I can't say enough about the effort they gave in the last three quarters. The girls are very excited. They don't take anything for granted. They're working hard because they know their job isn't done yet. They have a goal in mind and they want to reach that goal. It's very exciting to see their accomplishments. We treat them like athletes; we don't treat them like girls. They understand that. The girls who have grown up in our program have seen Jessica or know that she was a captain one year. 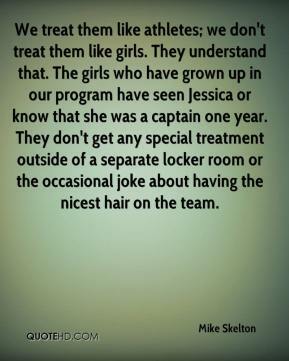 They don't get any special treatment outside of a separate locker room or the occasional joke about having the nicest hair on the team. 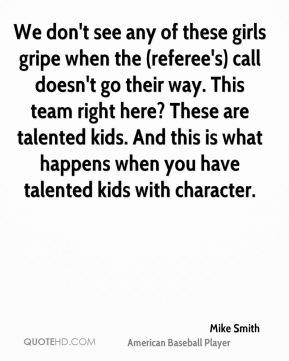 We don't see any of these girls gripe when the (referee's) call doesn't go their way. This team right here? These are talented kids. And this is what happens when you have talented kids with character. Our girls are starting to catch up. We'll continue to be in the thick of it (next year). 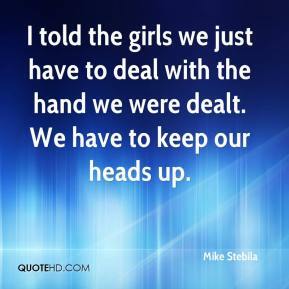 I told the girls we just have to deal with the hand we were dealt. We have to keep our heads up. 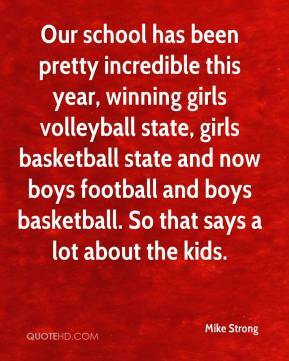 Our school has been pretty incredible this year, winning girls volleyball state, girls basketball state and now boys football and boys basketball. So that says a lot about the kids. The girls that I've got tend to be really competitive. They knew this was going to be a challenge, and and they took it and ran with it. This will make three boys. 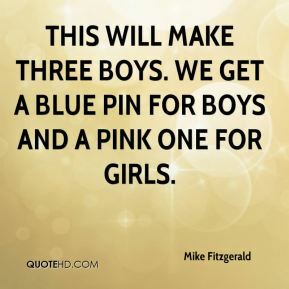 We get a blue pin for boys and a pink one for girls. 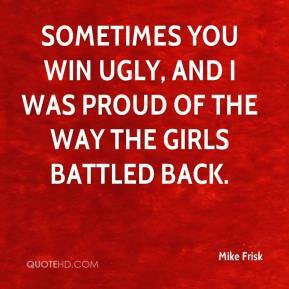 Sometimes you win ugly, and I was proud of the way the girls battled back. Tonight was all about the seniors. 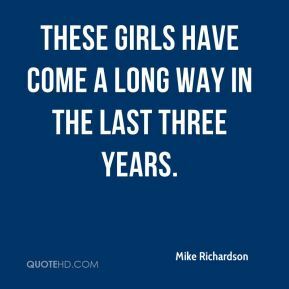 Those five girls has given us years of heart and sweat. 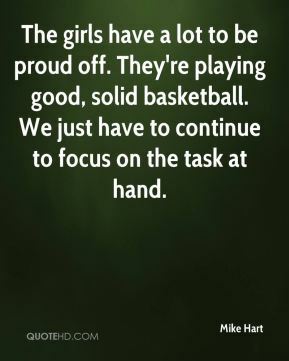 They never miss practice and, despite the fact that some of them have had limited minutes, they always come ready to play. They all enjoyed this night. I?m happy and proud of them. 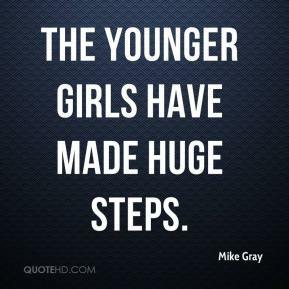 The younger girls have made huge steps. 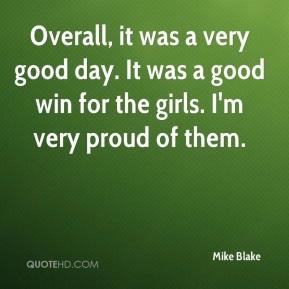 The girls have a lot to be proud off. They're playing good, solid basketball. We just have to continue to focus on the task at hand. 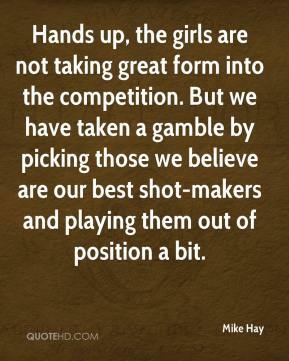 Hands up, the girls are not taking great form into the competition. But we have taken a gamble by picking those we believe are our best shot-makers and playing them out of position a bit. 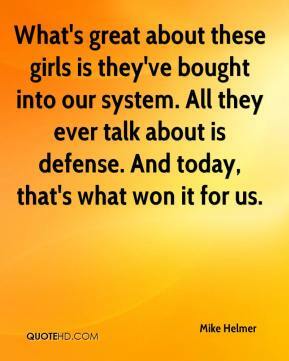 What's great about these girls is they've bought into our system. All they ever talk about is defense. And today, that's what won it for us. Trey makes me feel so comfortable doing a video. She makes you feel like you're just girls, hanging out. Plus, I got to set stuff on fire in the video, so that was fun.